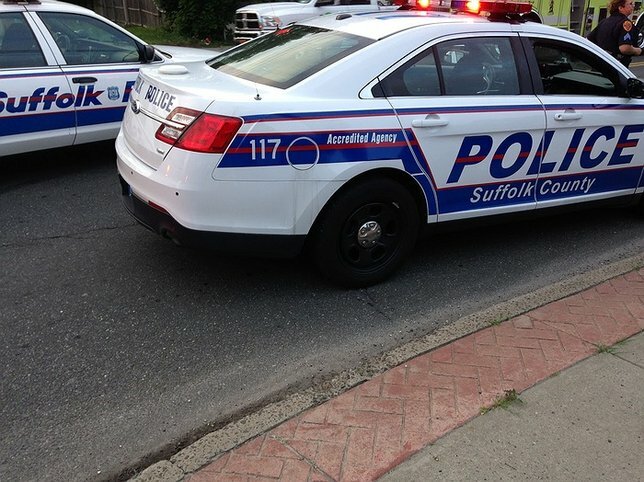 Suffolk County First Squad detectives are investigating a crash that killed an Amityville man this afternoon. Glenwood Blalock, 76, of Amityville, was pronounced dead at the hospital. Amityville, NY - August 23, 2016 - Suffolk County First Squad detectives are investigating a crash that killed an Amityville man this afternoon. Glenwood Blalock was driving a 1997 Chevrolet Cavalier westbound on Albany Avenue at approximately 12:20 p.m. Blalock stopped at a stop sign and was driving through the intersection of New Highway in North Lindenhurst, when his car was struck on the driver’s side by a 2005 Dodge Ram that was traveling northbound on New Highway. Blalock, 76, of Amityville, was transported by North Lindenhurst Fore Department to Good Samaritan Hospital Medical Center in West Islip where he was pronounced dead. The driver of the Dodge, Richard Cornell, 44, of Glen Cove was not injured. Both vehicles were impounded for safety checks and the investigation is continuing. Subject: LongIsland.com - Your Name sent you Article details of "Amityville Man Killed in Motor Vehicle Crash"